Taking the concept of cultural diversity a little too far, the Jenolan Caves near the Blue Mountains west of Sydney is about to become the first tourist attraction in the world to feature tourist tape/phones in Star Trek’s Klingon language, I am reliably informed by today’s edition of ABC News. The link between the world’s oldest dated limestone cave system and the fictional Star Trek language is through a spaceship, the USS Jenolan, which featured in an episode of the Next Generation series. Hmmm, if this happened in the UK at the moment, I could guarantee the right-wing press like the Daily Mail would have a field day taking the always reliable ‘credit crunch-style waste of money angle’ on the whole thing. Nuq daq o’ puchpa e’ – nookh dahkh oh’ poochpah eh’ Den-Ib Qatlh – Where’s the restroom, you Denebian slime devil. Hu’tegh verengan Ha’DibaH – Damn you, you Ferengi dog. Is there a Klingon word for Australian? 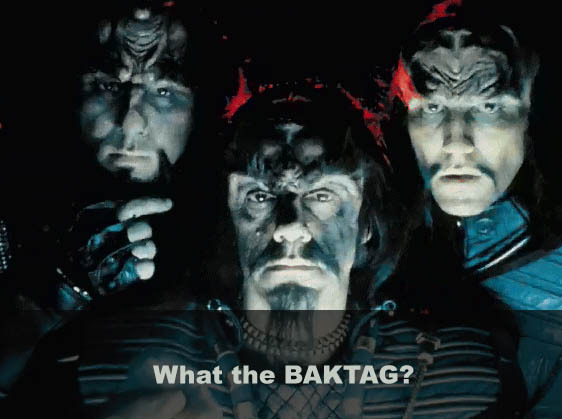 If there’s anyone more knowledgeable in Klingon than me, do leave the answer in the comment field below. I think the term ‘verengan Ha’DibaH’ for Ferengi dog just about covers most Australians of my acquaintance!